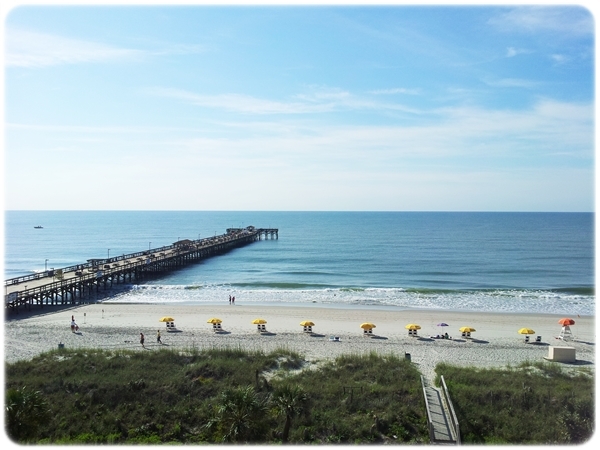 Dave and I were excited to be given the opportunity to travel to Myrtle Beach not too long ago. It was an incredible trip and the weather couldn’t have been more perfect. With blue skies, sun, sand, and the beach we had such a wonderful time that we are already checking our schedules to to figure out how soon we will be able to return! 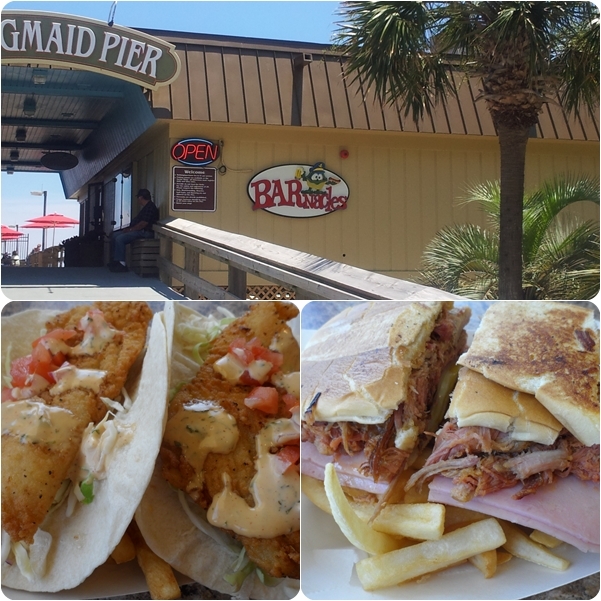 Once we arrived in Myrtle Beach we headed straight for Springmaid Beach Resort. 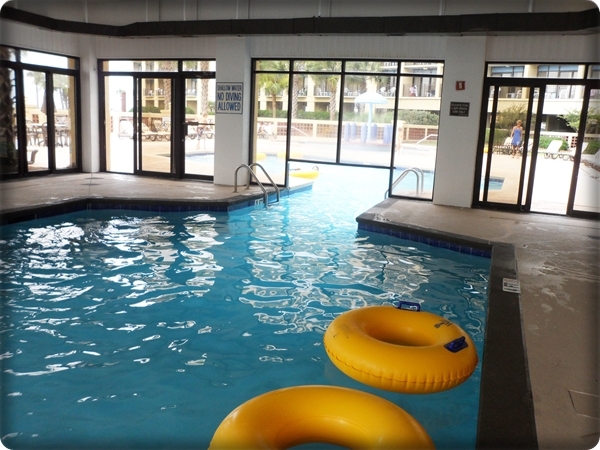 I checked out the resort online before we left and spent many minutes watching their live streaming webcam. 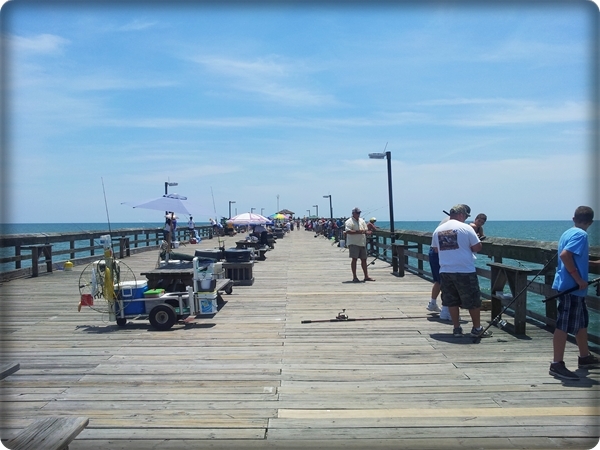 It’s so fun and offers a great shot of the beach and their pier. 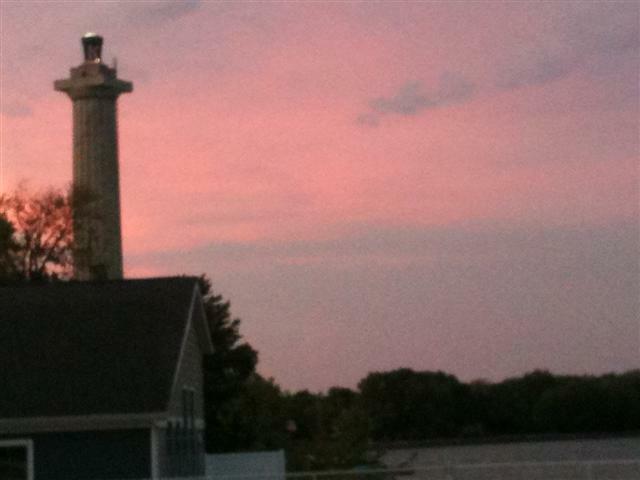 Since we’ve returned I have to confess, I’ve been stalking the webcam a bit checking on the weather and daydreaming about the beach. 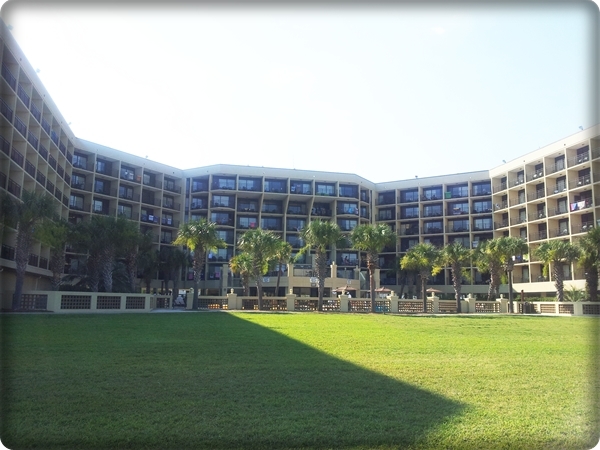 The hotel is amazing. 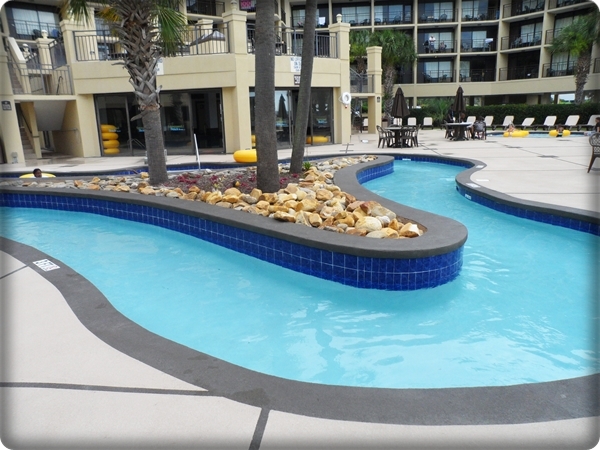 It’s located at the south end of the Grand Strand and this location makes it feel like you are on a private beach. 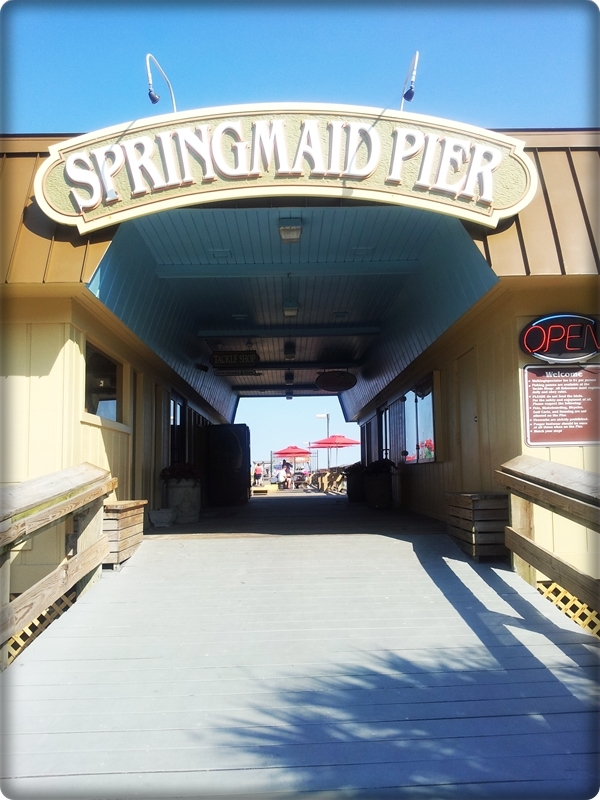 Not only did we love the beach at this resort but we enjoyed the Springmaid Pier as well. 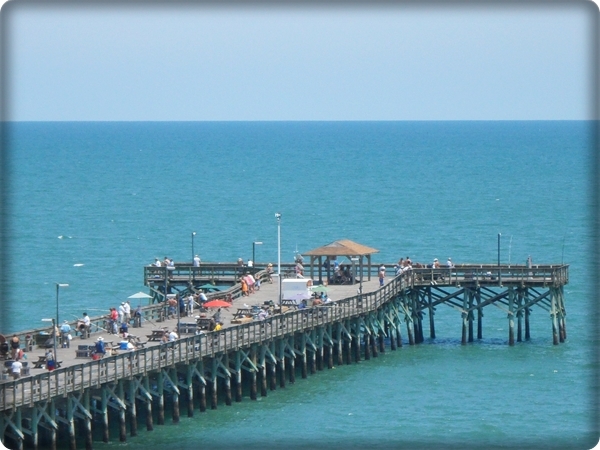 The pier is over 1,000 feet long and is a great place for a stroll any time of the day. 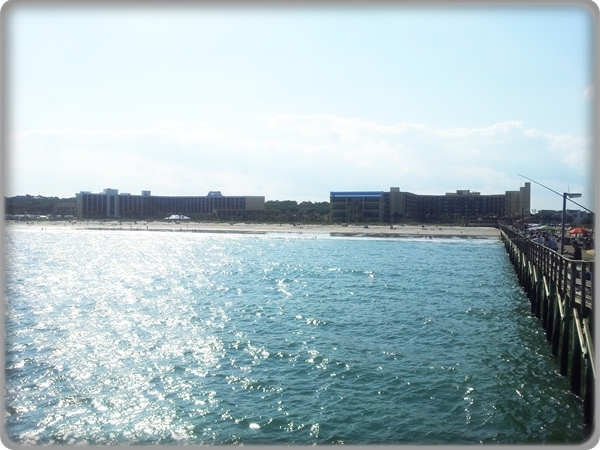 A look at Springmaid Beach Resort from the far end of the Springmaid Pier -1,000 feet away! There’s an oversize Adirondack chair to sit in. And lots of lots of fishing. 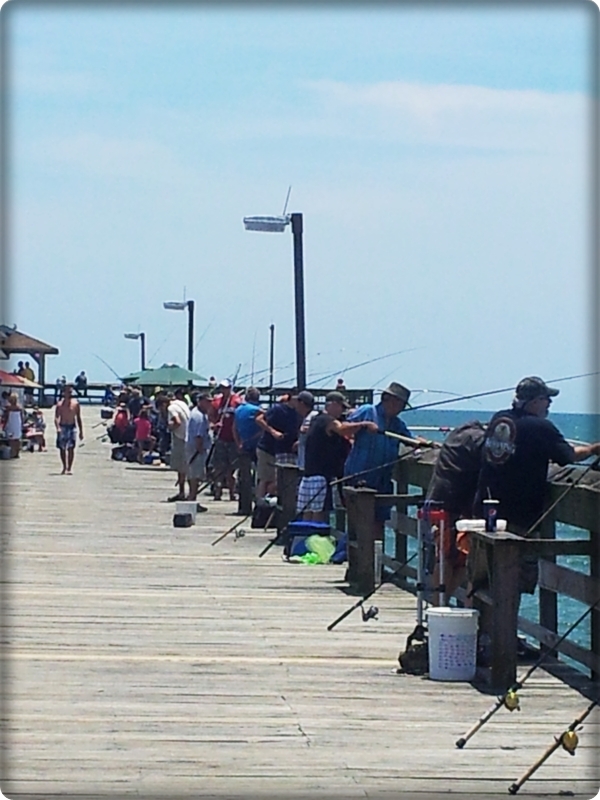 We were there during the King Mackeral tournament and it was fun to watch the long, shiny, sparkly fish being caught. 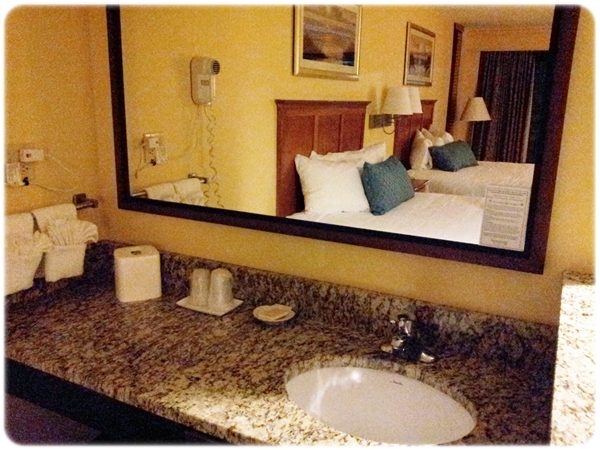 Our room at Springmaid Beach Resort was lovely. 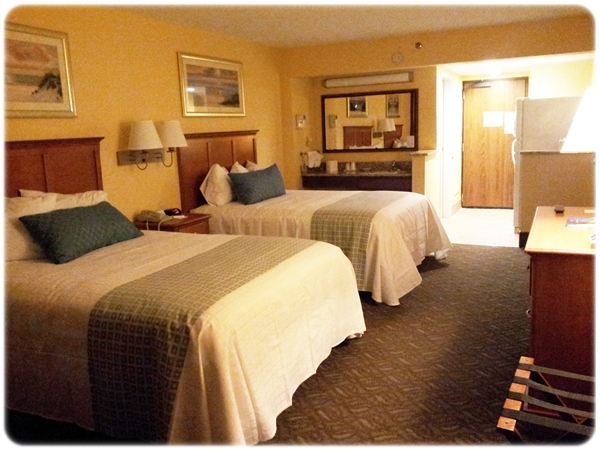 It was a large room with two queen beds, a dining area, a full refrigerator. 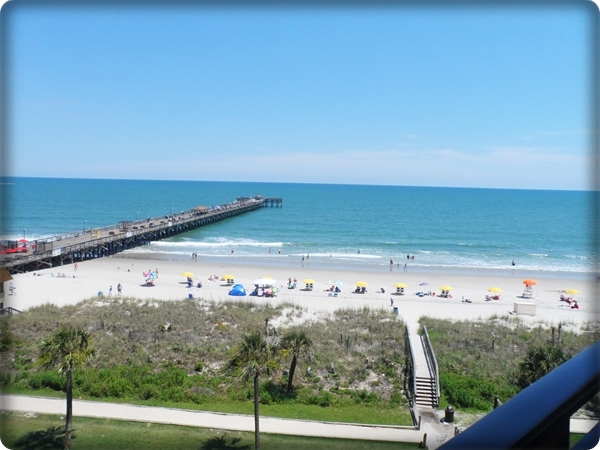 While we loved our, room our favorite part was the balcony that overlooked the beach, the pier, and one of the pools. We were pleased with the dining options offered at the resort as well. 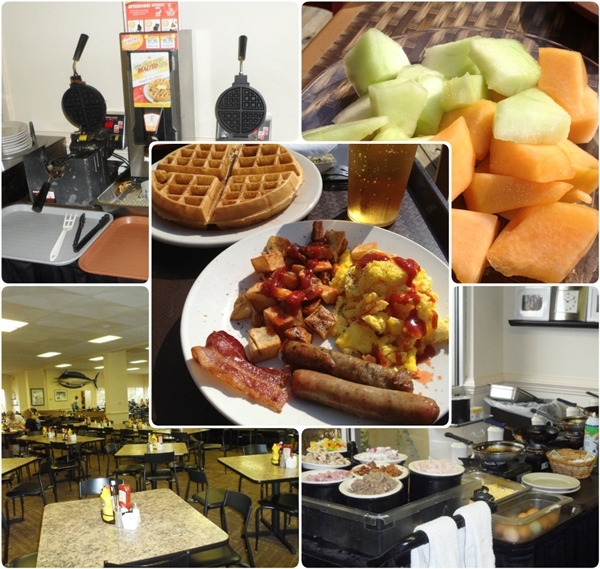 Marlins – delicious breakfast buffet with a waffle bar and an omelet station. Lunch and dinner buffets are also available. And the pools looked amazing! 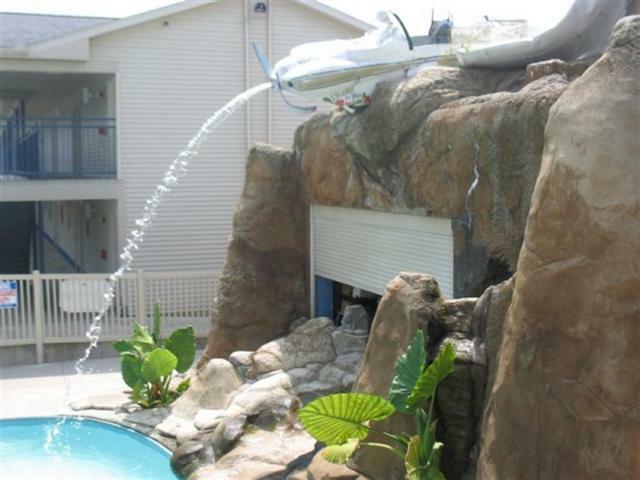 With a number of pools, lazy rivers, hot tubs and the ocean just steps away this resort is every water lovers dream. The daily activities were fun too. One day they had volleyball, sand castle building, Minute to Win It, and more scheduled. We were so excited to hear about their Sunday night Luau too. It sounded like an unforgettable experience but since we left Sunday afternoon we didn’t get a chance to experience it. 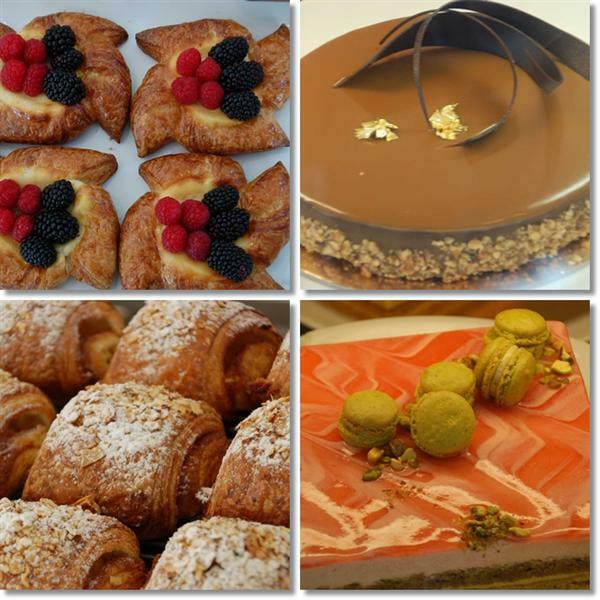 It is definitely on our list for our next visit! 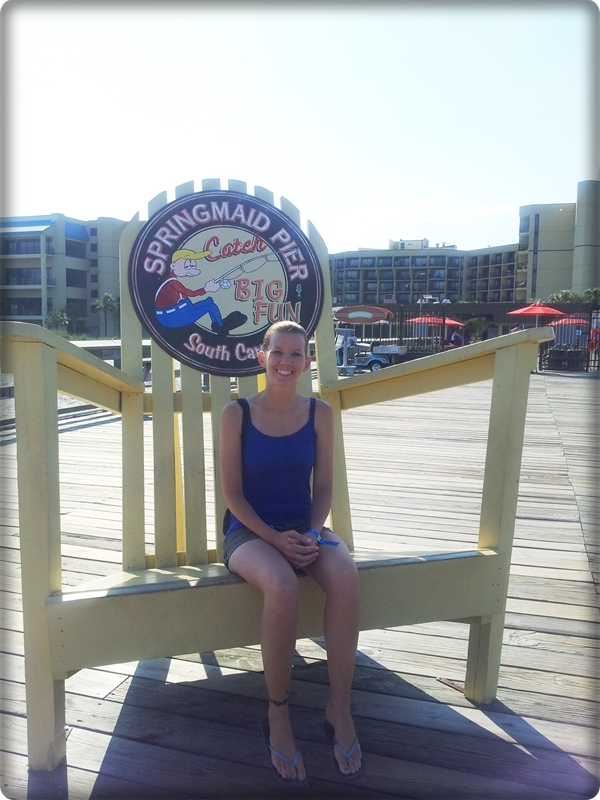 We loved Springmaid Beach Resort and highly recommend it to anyone traveling to Myrtle Beach. 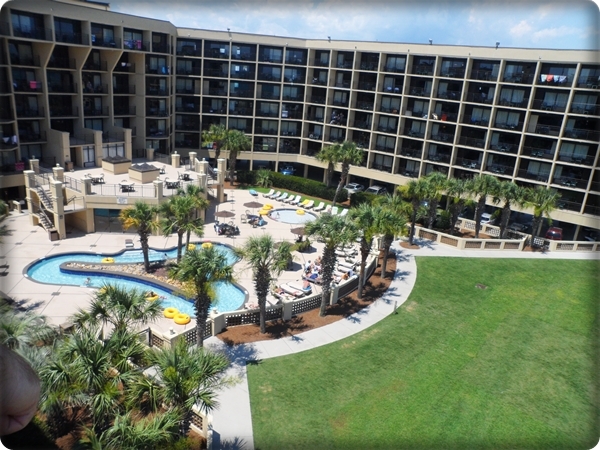 It’s a beautiful place that puts you right on the beach and has so many wonderful amenities it’s sure to be a trip you won’t forget. Accommodations provided. No compensation received. The honest opinions are my own. 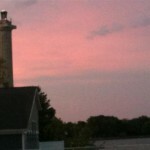 Hmmm, normally I love the look of the vacation spots you blog about but this one looks somewhat bland to me. I bet it’s perfect for someone who just wants to lay on the beach and soak up the sun though! 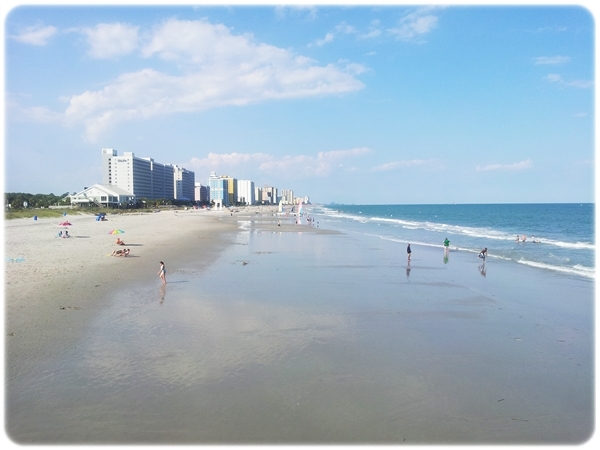 We love myrtle beach the views and great hotels, tons of things to do. 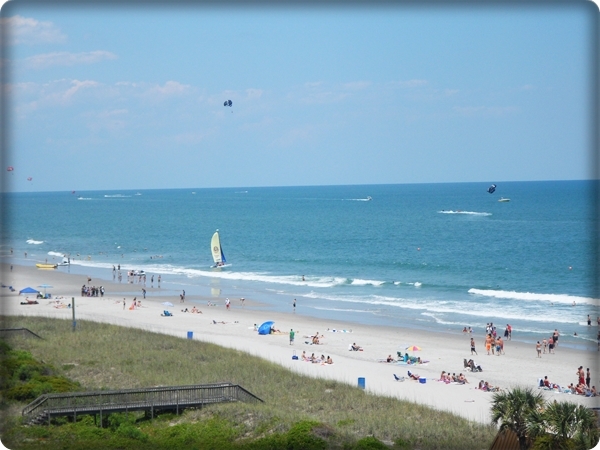 We are thinking about going to Myrtle next year with the kids. My wife and I went about 15 years ago and think the kids would really enjoy it. 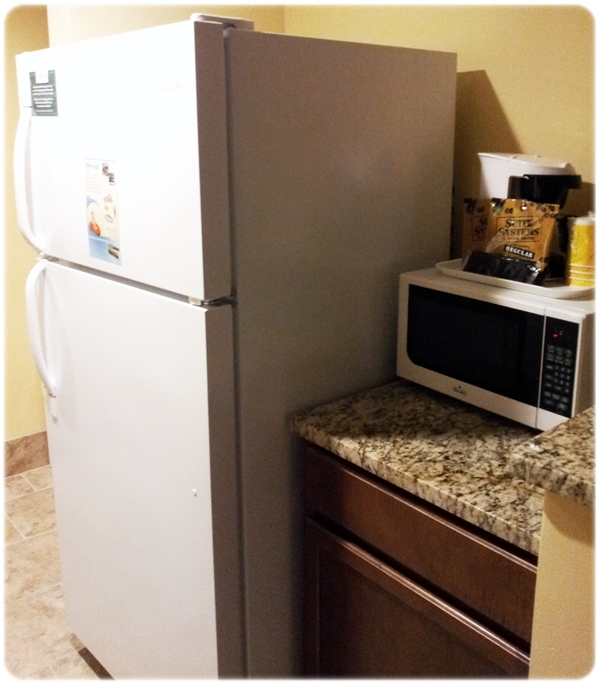 We like rooms with amenities like this, the fridge, microwave, etc. We usually make breakfast and sometimes lunch in our room and then head out for dinner. 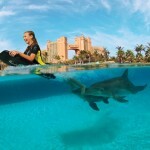 Looks like a relaxing place for a great vacation!